Front air bags are designed to inflate in a frontal collision depending on the intensity, speed or angles of impact of the front collision. Side impact and/or curtain air bags are designed to inflate when an impact is detected by side collision sensors depending on the strength, speed or angles of impact resulting from a side impact collision. Although the front air bags (driver’s and front passenger’s air bags) are designed to inflate in frontal collisions, they also may inflate in other types of collisions if the front impact sensors detect a sufficient frontal force in another type of impact. 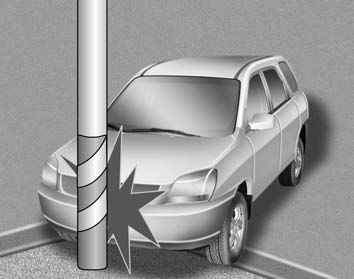 Side impact and curtain air bags are designed to inflate in certain side impact collisions. 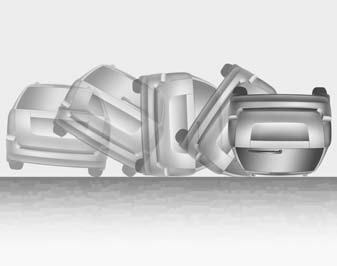 They may inflate in other type of collisions where a side force is detected by the sensors. If the vehicle chassis is impacted by bumps or objects on unimproved roads or sidewalks, air bags may deploy. Drive carefully on unimproved roads or on surfaces not designed for vehicle traffic to prevent unintended air bag deployment. 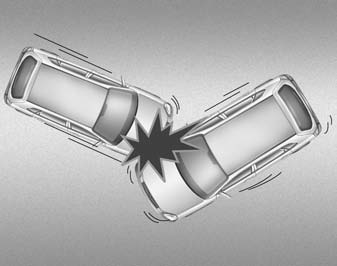 • In certain low-speed collisions the air bags may not deploy. 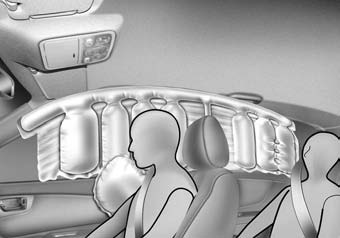 The air bags are designed not to deploy in such cases because they may not provide benefits beyond the protection of the seat belts in such collisions. 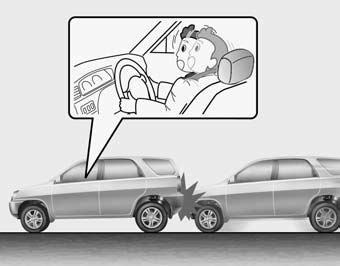 • Air bags are not designed to inflate in rear collisions, because occupants are moved backward by the force of the impact. In this case, inflated air bags would not be able to provide any additional benefit. • Front air bags may not inflate in side impact collisions, because occupants move to the direction of the collision, and thus in side impacts, frontal air bag deployment would not provide additional occupant protection. 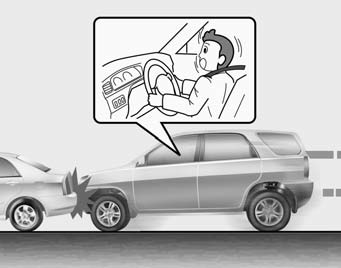 • In an angled collision, the force of impact may direct the occupants in a direction where the air bags would not be able to provide any additional benefit, and thus the sensors may not deploy any air bags. 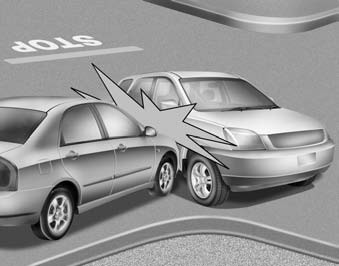 • Just before impact, drivers often brake heavily. 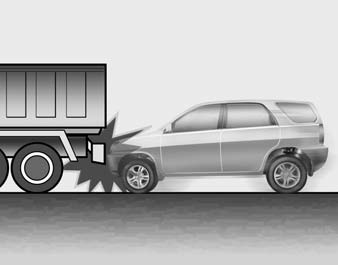 Such heavy braking lowers the front portion of the vehicle causing it to “ride” under a vehicle with a higher ground clearance. Air bags may not inflate in this "under-ride" situation because deceleration forces that are detected by sensors may be significantly reduced by such “under-ride” collisions. 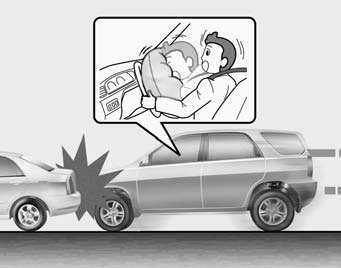 • Airbags does not inflate in most rollover accidents, even though the vehicle is equipped with side impact air bags and curtain air bags. 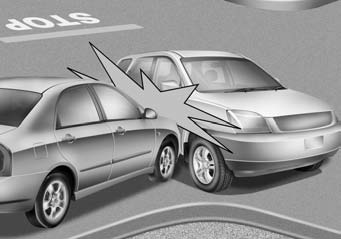 • Air bags may not inflate if the vehicle collides with objects such as utility poles or trees, where the point of impact is concentrated to one area and the full force of the impact is not delivered to the sensors.